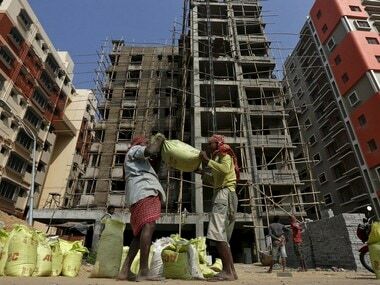 New Delhi: In a move to aid the real estate sector, the all-powerful GST Council on Tuesday approved a transition plan for the implementation of new tax structure for housing projects. As per the decision taken by the GST Council, the developers of residential projects which are incomplete as on 31 March, will have option either to choose the old structure with Input Tax Credit (ITC) or to shift to new 5 percent and 1 percent rates without ITC. In the previous meeting on 24 February, the Council slashed tax rates for under-construction flats to 5 percent from 12 percent and affordable homes to 1 percent from 8 percent, effective 1 April. "GST Council today has approved transition plan for the new rate structure for real estate residential projects...from 1 April, builders have to choose either of the options for which they will get time," Revenue Secretary A B Pandey told reporters after the 34th meeting of the GST Council here. On the time-frame for transition, Pandey pointed out that the council has agreed on providing a reasonable time to developers. The matter would be decided in a next few days in consultation with the states, he said, adding that it could be 15 days or one month. For upcoming projects, reduced rates of 5 percent and 1 percent will be applicable beginning 1 April.